Flexible 3M Heavy Duty Stripping Pads for curved surfaces replace and outperform steel wool. Stripping is easier and quicker on stubborn surfaces. Use with chemical strippers to remove paints, varnishes and other finishes without harming wood. If you're running up and down the ladder or juggling a can of paint in one hand, then chances are you're not getting much painting done. This solid steel hook safely grabs onto your ladder rungs and easily holds a 2-gallon can of paint within arm's reach. 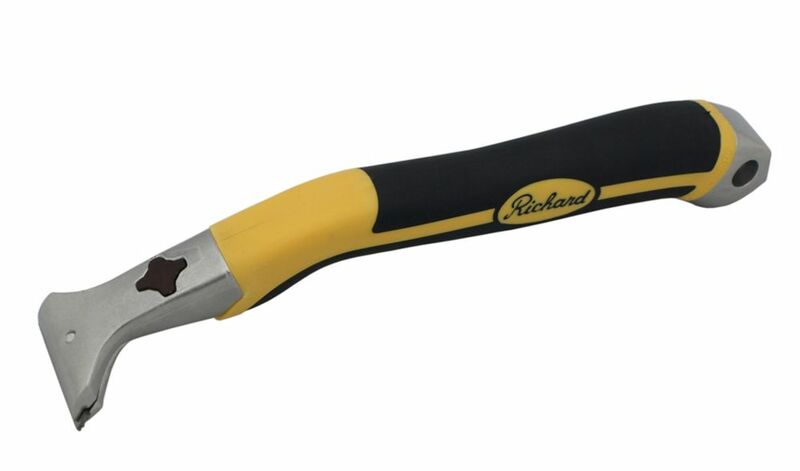 Featuring a handy paint can opening tool on one end, this hook makes painting safer, more convenient and easier. Reveal the true beauty of your treasures with Heirloom Furniture Strippers. Heirloom Pure Furniture Stripper is a low odour, water rinse-able, non-flammable, safe alternative furniture refinishing option for use indoors or outdoors where there is little ventilation. Effective and safe for use on antiques or fine wood, plaster, glass, fibreglass, masonry, leather, natural fibre fabrics, carpets and metal.